Two female Santa Clara County Sheriff's Office correctional deputies on Friday were placed on leave for alleged jail guard abuse, sources tell NBC Bay Area. Sources said the correctional deputies allegedly beat up a female inmate last summer at Elmwood Jail. Sources also said that when another correctional deputy approached the scene, the two guards told her to go away. The sheriff's office is conducting an investigation. The allegations come as the jail system tries to recover from other abuse allegations against inmates, including the death of Michael Tyree last August. Three inmates face homicide charges in Tyree's case. 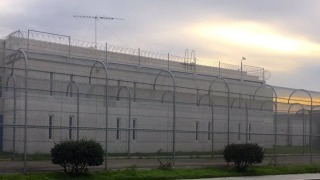 Sources tell NBC Bay Area two female correctional deputies allegedly beat up a female inmate last summer at Elmwood Jail. Damian Trujillo reports.